I made many more search flights with drone, found airplane on three videos. Today I copied out the parts of those videos that showed the airplane, did crop top left 700x360 from 1280x720 frames, slowed down framerate of 30 fps to 6 fps, concatenated the videos (all with ffmpeg) and converted to animated .gif (with gifenc.sh). Now I have to wait for FPV drone I did order 9 days ago during banggood super-sale for 20$ with free shipping to arrive. You are going to buy another drone, to find a drone that was lost while finding an RC aircraft.. Perhaps you need to stop flying near trees? I do sympathize. I lost my first RC aircraft after <5 minutes of flight time as it got caught in a sudden gust of wind. If the trees are deciduous then it's just a case of waiting for Autumn. Yesterday I lost drone again in deep grass, with installed app Wifi Analyzer and enabled sound finding drone was easy (beep interval gets smaller while getting nearer to drone). Luckily that location was in tree with raised blind below! Today in the morning I did first search flights with E52 drone at group of trees with the other lost drone. I had problems in uploading Eachine E52 .mp4 videos to youtube, youtube refused to take them. Although .mp4 is a supported video format, youtube complained that I should use a supported format?!?!? Yesterday I found the reason (there is an audio channel in E52 .mp4 videos) that does confuse youtube. Since there is no microphone in E52 drone, I found easy solution in just disabling audio with ffmpeg's "-an" option. At the start of the video the tree with raised blind can be seen in detail, I did not know that drone would end up there at that point in time ... I should have let speed at 30% in Android EACHINE_UFO app and not have tried 100%. Unfortunately today it is at 29$ again. I did this experiment as 2nd backup plan in case I cannot fix E52 drone camera. I wanted to test whether Pi ZeroW+v1 camera+cable can replace E52 FPV camera board. This is first time I did fly a drone in my (small) Motor Test Station (MTS). I knew that drone is loud outdoor, indoor it feels much louder (hear into Android camera youtube video)! From previous posting we know that E52 can lift with 14.6g backpack easily, from today we know it cannot lift with more than 25g additional load. Camera seems to work better now, The FPV camera antenna was directly near the three cable connector of FPV board -- I moved it away before closing the drone again, hopefully that will have eliminated the camera problems. As said in last posting P.P.P.S there is No-flight time until ordered blades will have arrived. I did connect my Android to the E52 on weekend and found drone AP IP address to be 172.16.10.1. I did "nmap 172.16.10.1" and found port 8888 open. "Controlling a JJRC H37 Elfie quad from a PC by adriajunyent-ferre"
All reverse engineering is done, pull_video.py and watch_video.py play quad video on PC using gstreamer, send_joystick.py controls quad from PC USB gamepad ! I will try whether E52 drone can be controlled the same way when back home on weekend, maybe a different magicword is needed in pull_video.py. Monitor mode works much better than Wifi in AP/Station mode. It uses Ralink and Atheros USB Wifi cards in monitor mode. Thanks for the links, but they are on Wifi broadcast. For "Pi ZeroW as E52 drone pilot" wifi broadcast is not needed (in the first place). I think these are the first three simple Pi Pilot projects. 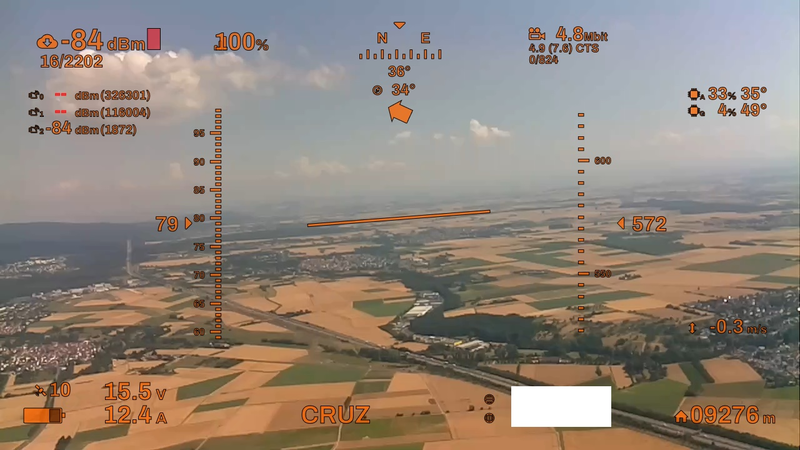 "Hello World": trigger "lift off" of drone (will leave drone in 1m above ground), wait X seconds and then trigger "landing"
more advanced: trigger "lift off" of drone, fly forward X seconds, fly right X seconds, fly back X seconds, fly left X seconds, trigger "landing"
For 2) and 3) it is important that emergency landing by triggering that through RTC (One-key down) is always possible since fully autonomous drone flight without emergency stop option is forbidden (at least in Germany). Besides the time and money for 40km travel to Heidelberg, going there was OK. Over the years I received >300 packets from China (aliexpress and banggood), and only two packets ended up in customs office. What I learned today is that I only got complete drone because CE marking was not only on drone box, but on drone and RTC as well. That did not work because the drone AP IP address is not 172.16.10.1 as with the previous E52 I have, but now it is 192.168.0.1. I did change the IP addresses in pull_video.c, but that did not work either. I will have to use ettercap tool to capture traffic between new E52 drone and Android to get working pull_video.c for the new drone. Interesting, the packet went from China to Estonia first, and then inside EU to Germany. Besides 2nd E52 drone with 4 spare blades, 4 packets with 4 spare blades each arrived during vacation time. Will prevent no-flight time for quite some time. For doing this kind of search videos E52 altitude hold mode is really advantageous. Next step is the rescue part of search&rescue, but we just now get change in weather pattern and it started to rain (after being always sunny with >30°C). Neat, it's easier/cheaper to read about somebody else's adventures than try it myself. I have a small drone, too small to carry a camera. It got stuck in some trees and didn't come down until spring, by then the electronics were ruined. I crash flight simulators, I wouldn't try a plane I'd spent money on. Drone technology: lightweight motors, propellers, batteries, controllers could be even more interesting if you mount those parts on a glider so lift comes from wing design instead of sheer motor power. Just looking at my dead drone here. Oh, and you can make animated gifs with gifsicle in the Raspbian debs. ... I crash flight simulators, I wouldn't try a plane I'd spent money on. I wonder if you could bind 2 panes together vertically and make a sort of biplane to get more lifting capability. I thought of similar, connecting my two planes horizontally. Have not tried yet. Currently I figured out that my drone is capable of carrying 18.5g of backpack load. for Pi ZeroW as onboard drone with lipo and VL53l0x laser range sensor for "constant altitude above ground mode"
Btw, today is last day you can order the E52 drone super cheap (17.59$ with free shipping, CN/0.3MP/RTC option). I know, and even better with ffmpeg. I did much with gifsicle in the past. No, it needs to be vertically, at least for what I'm thinking of. Not even another plane but another wing. https://en.wikipedia.org/wiki/Lift_(force) My father used to make boomerangs by cutting them out of plywood and sanding the leading and trailing edges by eye. I've made windmill blades (which have a lift pointing downwind) by using a spreadsheet. 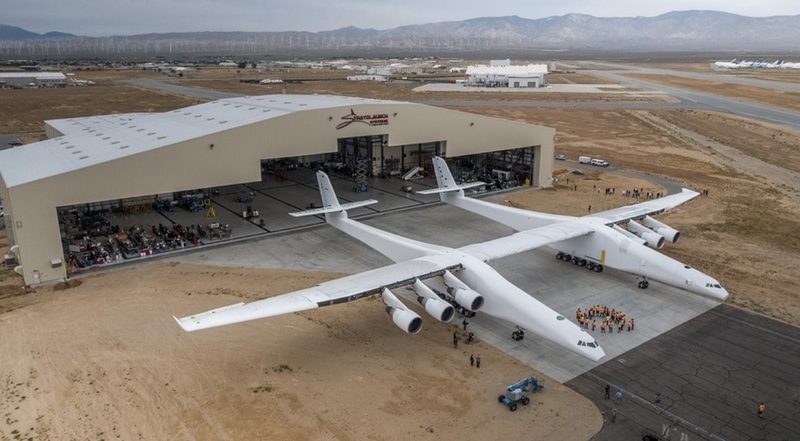 You could go to a building supply store and get a piece of styrofoam insulation a little thicker than your airplane wings, then mount that probably above the original wing like a biplane. I don't know the best way to shape it, a very sharp knife like an xacto or razor blade maybe, or a hot knife like on a soldering iron. It's going to tend to crumble, you want a smooth surface so the air will flow over it. The leading edge should be blunt, the trailing edge comes to a point in the back. Molding it yourself might give you more control but then you need to build molds and get the wing out afterward. A Dremel tool with its high speed might help. What I meant by horizontally was joining my two airplanes at the wings, and fly both airplanes concurrently. In theory this should double backpack capacity (the small RC airplane weight is 23g, and it did lift and fly with 40g incl. Pi Zero and camera). Updates on drone/airplane rescue activities. Today a friend helped me, we took my 7m ladder and his 4m stick with hook at the and and went to the trees. He made ladder stay secure, I did climb up 6m, adding 2.30m of me with stretched out right arm, and 4m stick I did shake out all tree arches I could reach in the area of the tree where I had seen movement yesterday when powering up transmitter, doing calibration and then autostart. So not found or rescued, and what we know its location is higher than 12m from ground in the tree. I did know that 1st E52 has 0.4MP camera and does [email protected] videos (https://github.com/Hermann-SW/wireless- ... ideo-facts). I used "ffmpeg -i ... -hide_banner" to find out video information for the others from videos taken by them. 2nd E52 has 0.3MP camera and takes [email protected] videos. 3rd (lost yesterday) has 2.0MP camera and takes [email protected] videos. I lost drone yesterday because I did fly way too low. Camera was directed to ground, there would have been a much easier and safer way to do surveillance flight: start on meadow, climb much higher than the trees, move over tree until seeing white drone live on Android screen and then slowly move drone downwards making sure not to get too near to the tree. Last night I made big progress with 2nd drone and completely mounted payload drop system. As some people pointed out, autumn definitely will help in getting clear view on red E52 drone lost yesterday, and the yellow airplane only seen in 3 videos from > 50 videos. Maximal reading was 18233 rpm and constantly dropping slightly. I looked the 1fps animated .gif again and saw that after 3 frames the white marker was not exactly on same place. 3 frames do a little less than 1 complete propeller turn, so the propeller speed shown is less than the 20140 computed above. Most importantly now it is answered that indeed a single frame of 1007fps video captures roughly 1/3rd of a round and not 4/3rd (the digital tachometer measurement range is 2.5-99999 rpm). Ion propulsion, that's what you need. Measure KV instead of RPM.